Though more and more consumers rely on digital products, commodity-based brands can still grab their attention with emotional and relevant storytelling. 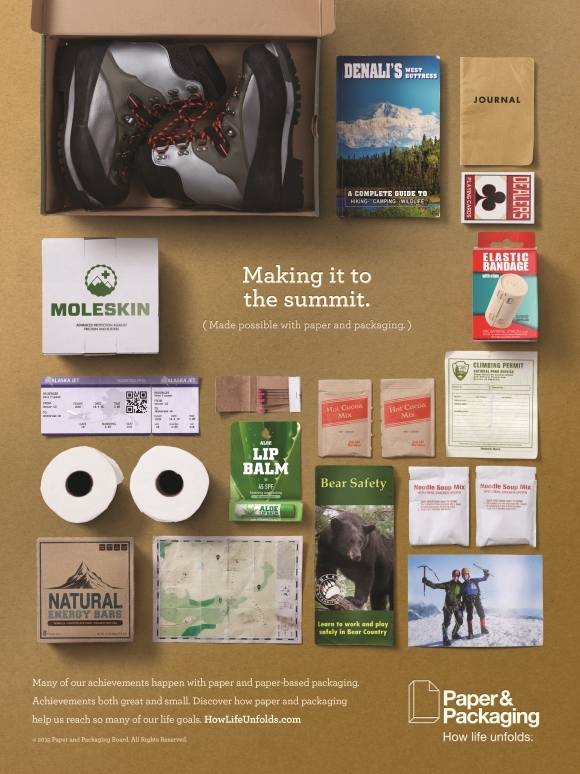 In an increasingly digital world, the Paper and Packaging Board (P+PB) has been on a mission to show consumers the value of paper and packaging in their lives. Paper & Packaging – How Life Unfolds, which launched in July and will run through December, was "designed with a storytelling approach to emphasize and reinforce the emotional and functional role" of paper and packaging, explains Joan Sahlgren, senior PR manager at P+PB. In 2014, the company was created as a commodity checkoff program under the United States Department of Agriculture to slow the decline of paper and increase the demand for packaging, she adds. Similar industrywide initiatives include the popular Got Milk? campaign and Beef: It’s What’s for Dinner. By supporting the program across platforms – such as HowLifeUnfolds.com, TV commercials, print and digital ads, and on Facebook, LinkedIn, Twitter, YouTube, Pinterest, and Instagram – Sahlgren says the board can reach consumers in various ways. The content touches on creativity, learning, resource stewardship, and special moments, whether it’s a sticky note in a child’s lunchbox or a diploma. In August, Cramer-Krasselt, which has been handling PR, social, and advertising for the effort, focused on back to school. The firm found through a survey it conducted with 3,200 students, educators, and parents that 90% of students are carrying paper with them every day, and 94% say it is easier to concentrate when reading paper notes rather than digital. The campaign is bringing in an anniversary element in October because paper is the traditional wedding gift for the first year of marriage, says John Mose, SVP and director of PR at Cramer-Krasselt. Tens of thousands of newlywed Americans will receive a surprise paper anniversary package on their doorsteps by October 1, which will include pop-up art, seeded paper to grow wildflowers, and Shutterfly coupons. The couples were selected from Crate and Barrel’s marriage registry lists in the last year. Additionally, P+PB is launching a #PaperAnniversary contest throughout October for first-year married couples to enter on social for a chance to win a dream trip or a second honeymoon at places in the US, such as Hawaii or New York City. Participants have to highlight an important paper and packaging moment on social from their first year of marriage, such as the paper where they wrote their vows or a marathon bib from a race they ran together. Mose says the grand prize trip will be "facilitated with paper" – paper tickets, guidebooks, maps, and so on. 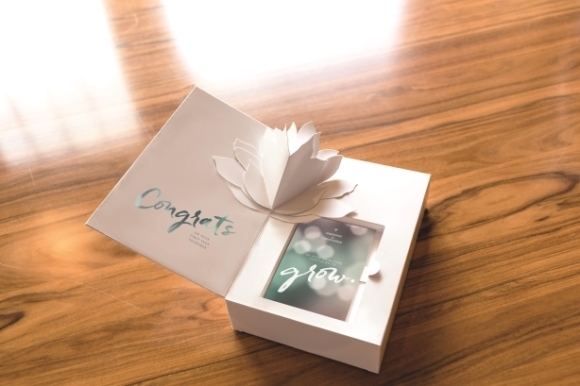 Paper gifts will also be sent to select celebrity influencers who have gotten married in the last year, with the hope that they will share the message with their fans. While plans around the holidays are still being ironed out, Sahlgren says it’s a "natural time period" for paper and packaging with all of the gifts, wrapping, and shipping.